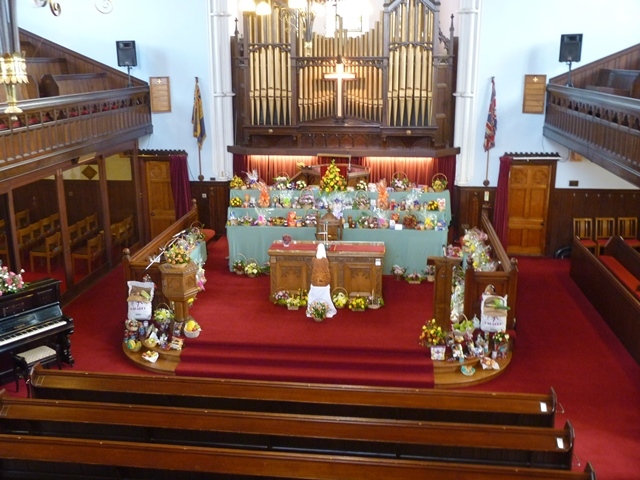 The Harvest Thanksgiving Service was held on Sunday 12th October when the chancel area was beautifully decorated. 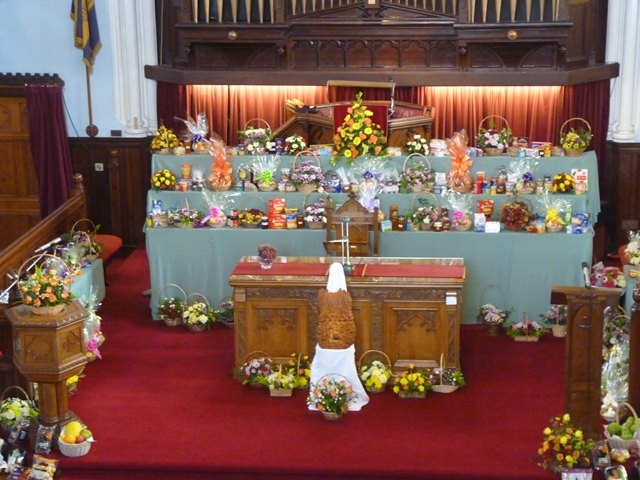 After the Service gifts of flowers, fruit or produce were delivered to members of the congregation who are elderly, ill or who have been recently bereaved. 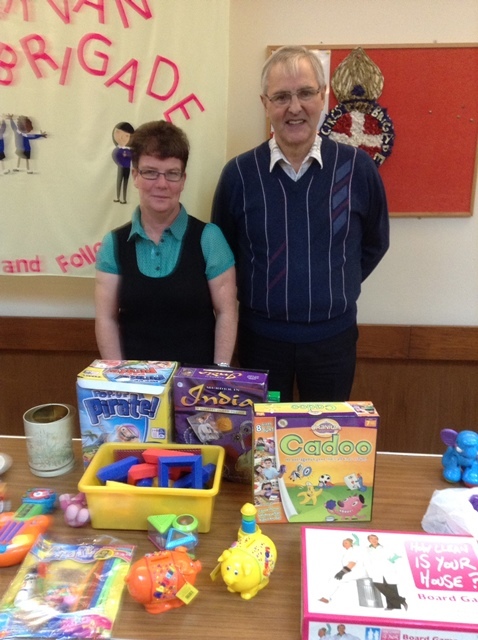 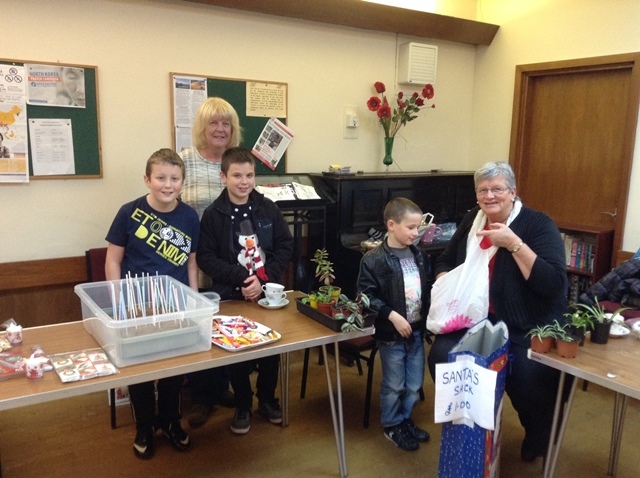 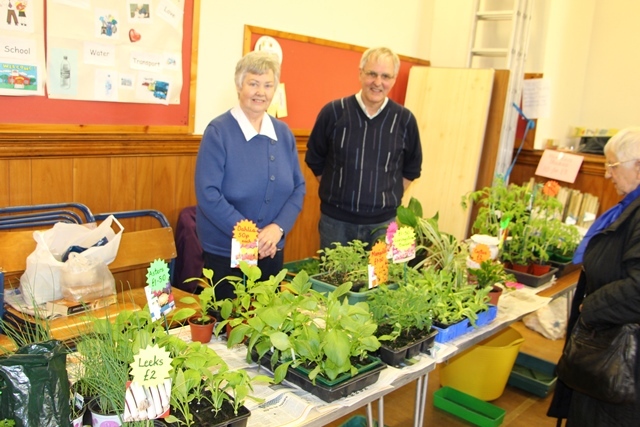 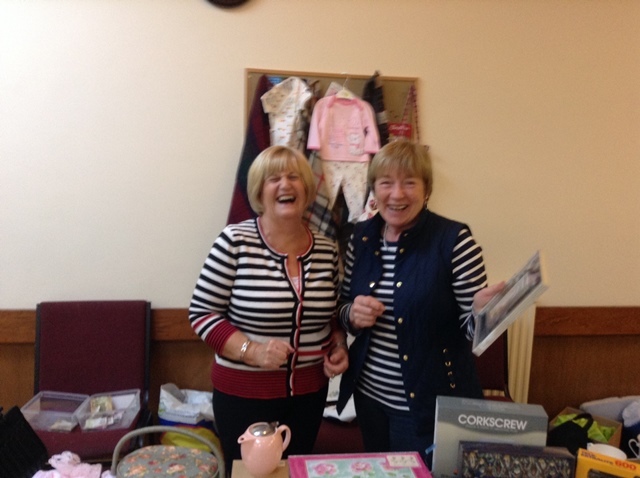 The cold and windy weather on Saturday 3 rd May did not keep the crowds away from our Church Fair. 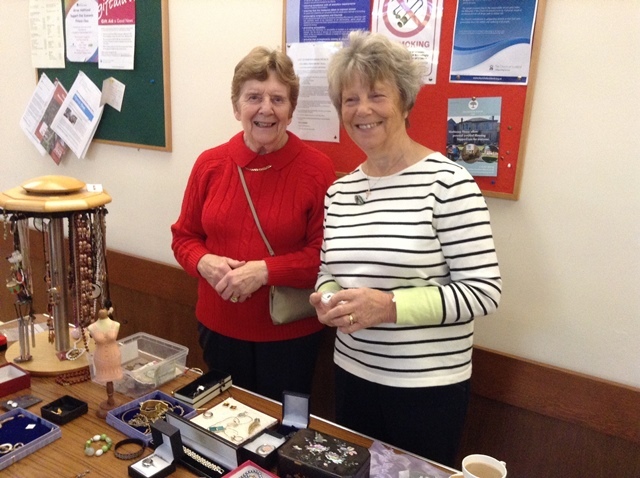 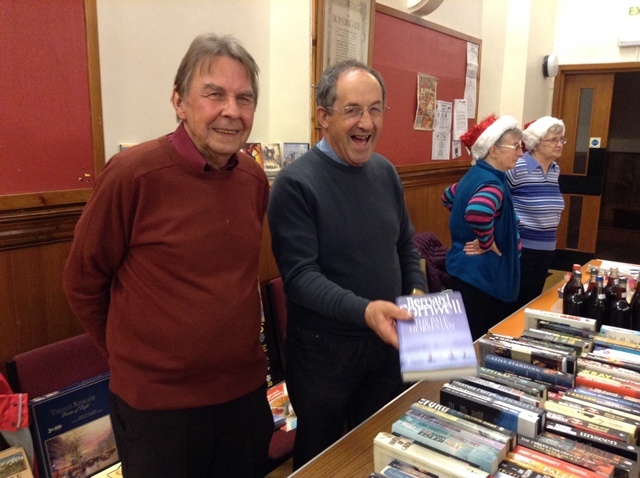 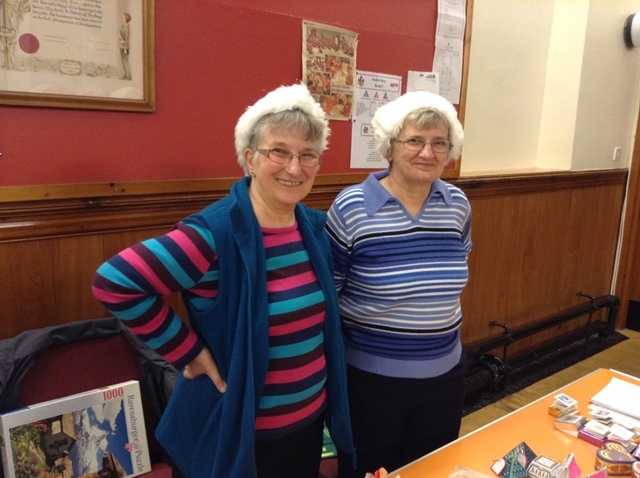 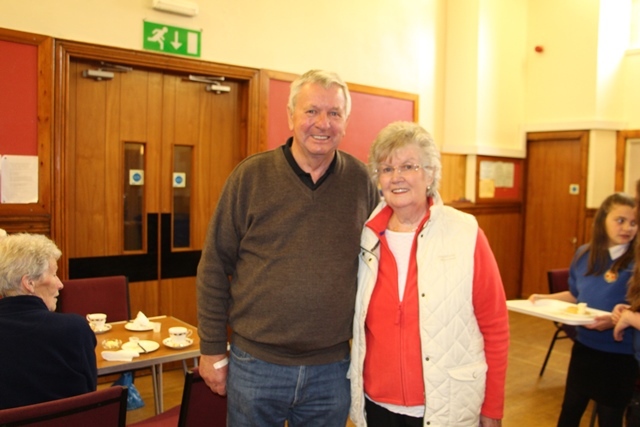 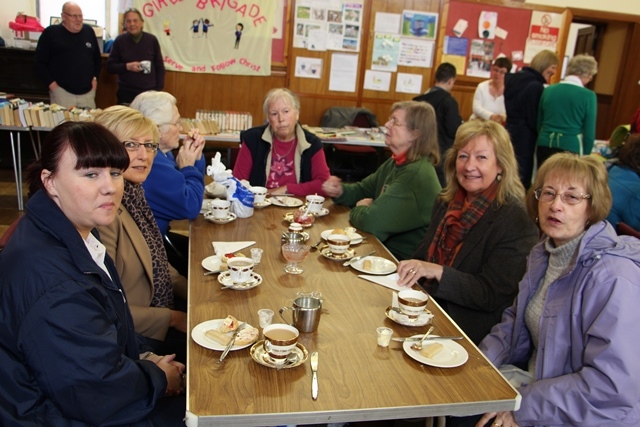 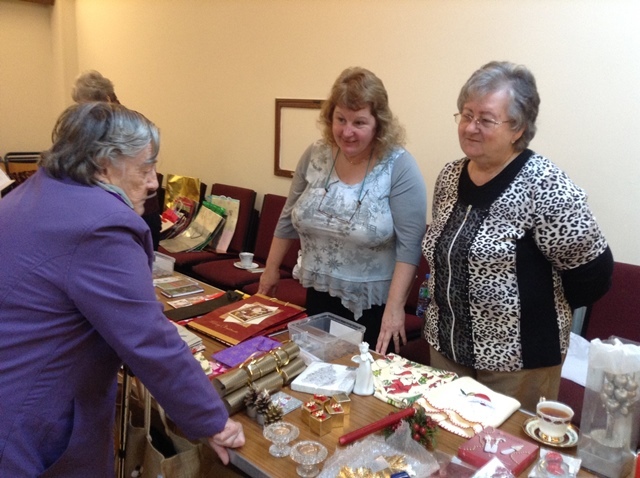 Teas,coffees, scones, jam and cream and shortbread were enjoyed by members and friends who attended.The various stalls were well supported and the wonderful sum of £1050 was raised for the church restoration fund. 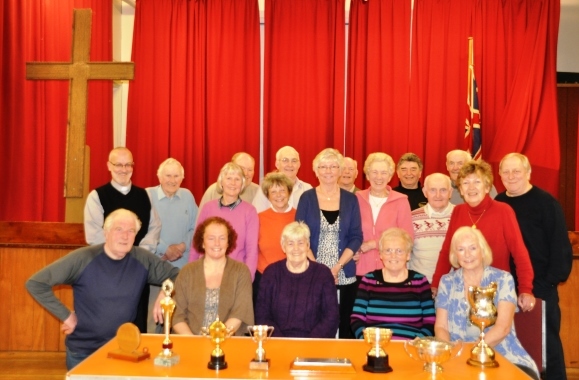 Girvan North Parish Church Carpet Bowling Club closed for the season on Monday 7th April 2014. 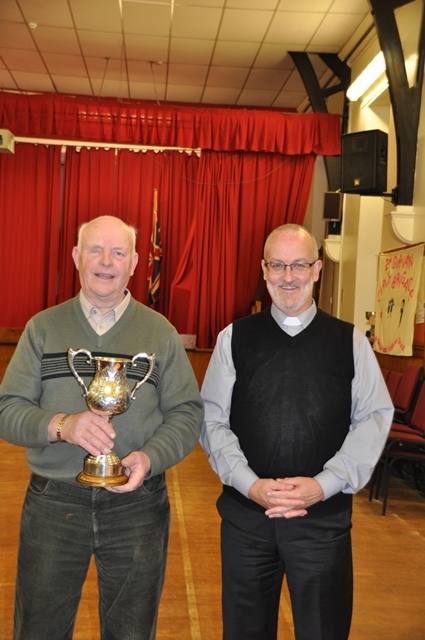 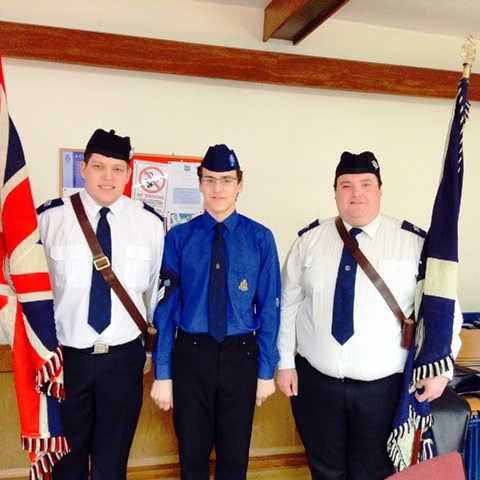 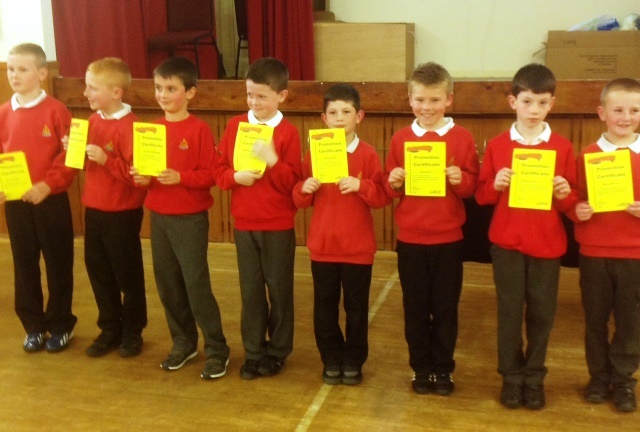 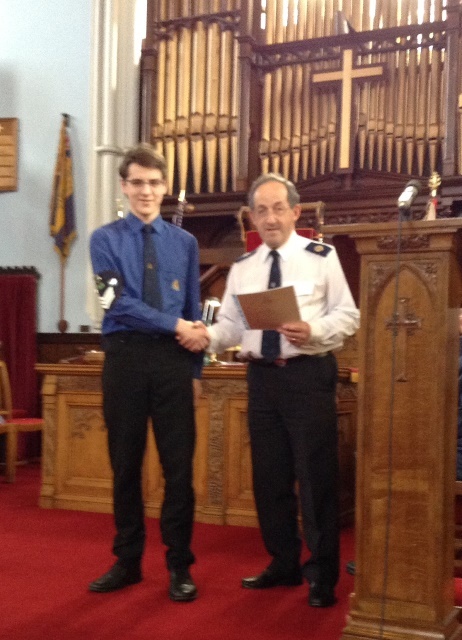 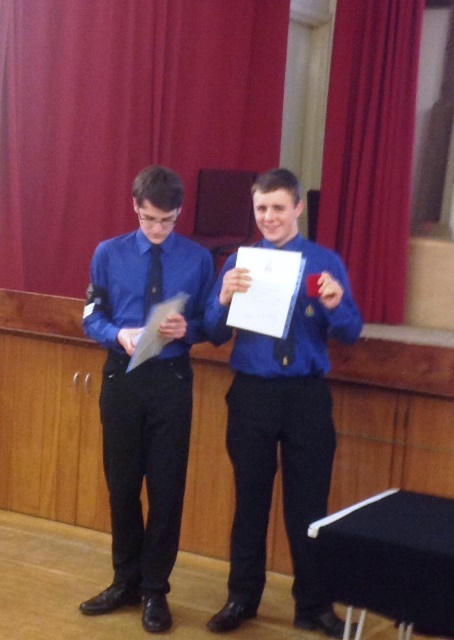 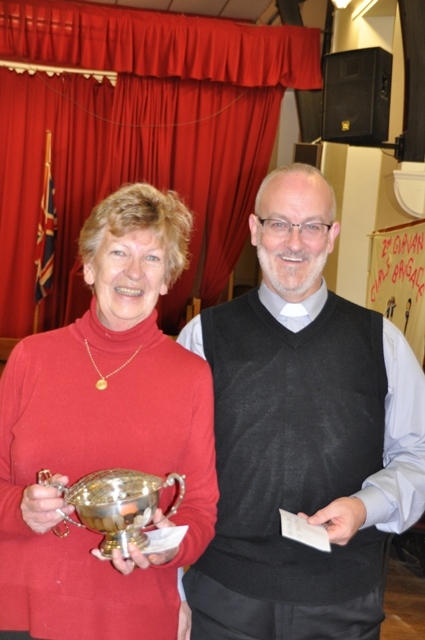 The minister, Rev Richard Moffat presented various trophies and prizes to the undernoted winners and runners up. 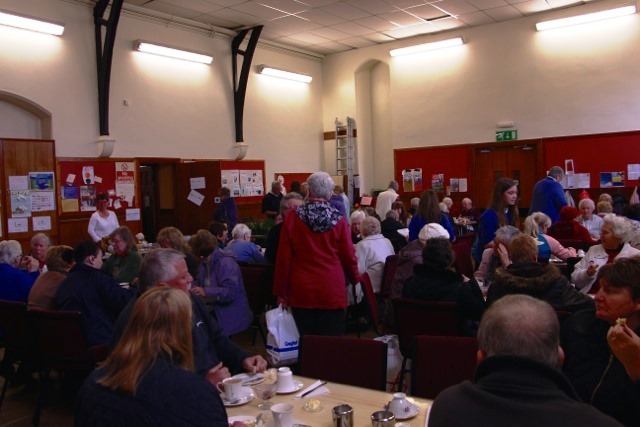 The evening concluded with a lovely supper. 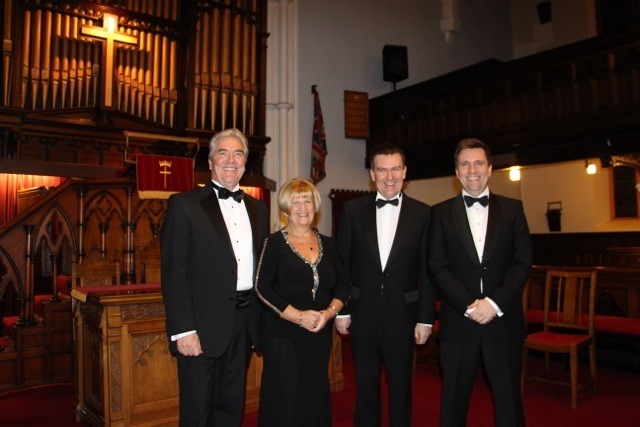 The Nicol Family (Jim, Margaret,Andrew and Ross) provided an evening of wonderful entertainment to boost the fund for renovation of our beautiful Church. 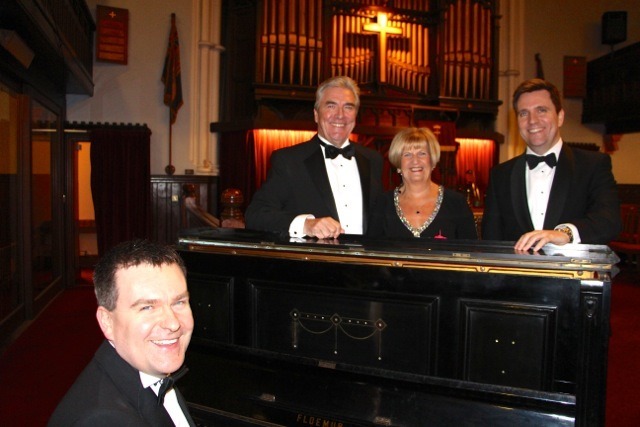 An evening of light classical songs, songs from the musicals and recitations, monologues and comedy all combined to enthral an audience who braved the awful weather and contributed £755 to the fund.